Our Ponte Roma Fabric is a gorgeous blend of polyester, rayon and spandex. 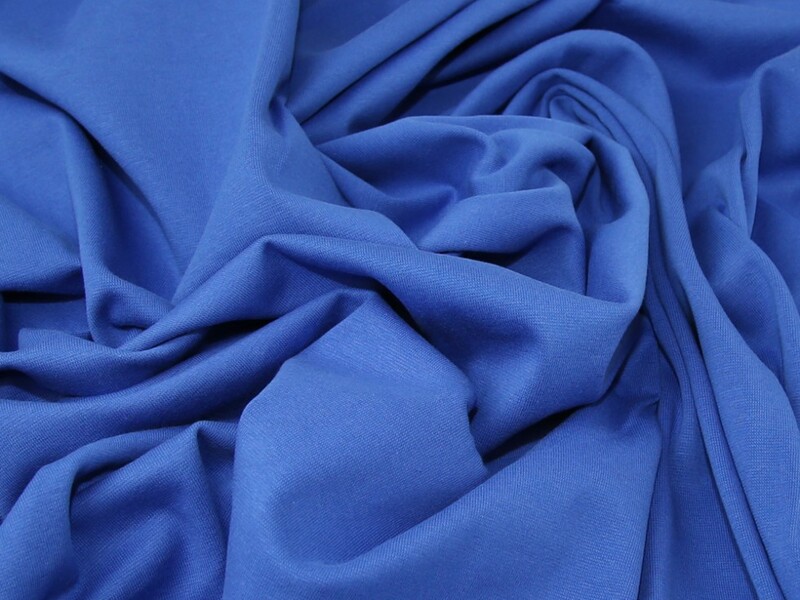 As a medium to heavy weight jersey this fabric is perfect for making lots of different styles of garments including sweater tops, skirts, dresses, trousers, jackets and more! Ideal for sewing patterns that require an all way stretch knit. It is very easy to sew and perfect for anybody new to dressmaking. Available in a wide range of colours. As part of our clearance range we are able to bring it to you at a much cheaper price than the RRP (was £12.99 per metre), but only whilst stocks last! Please note, each colour in this range of ponte fabric varies slightly in weight, feel and finish. The widths may also vary, the width stated is the average width taken from all stock. Please order samples if you are unsure. Medium weight Ponte Roma, easy to sew: the edges do not roll up when cut. Tightly knitted, no transparency. Very satisfied with the quality. Lovely quality, nice wight and very easy to sew with. I ordered the dark forest green and it is more of a grey/army greenish color in my opinion. Amazing quality, just love this fabric! Ponte is one of my favourite fabrics to see as it's so forgiving and easy to fit. Love all the colour choices aswell! This ponte would make an amazing skirt or dress as it is a medium weight. I bought the gold, it is slightly darker than I expected, it is a camel colour. This is a nice ponte but it's not what i would call silver grey - there is a definite moss green tinge to it.